In March 2005, the MELMAC Education Foundation announced $3.4 million in grants over seven years to eighteen Maine colleges. 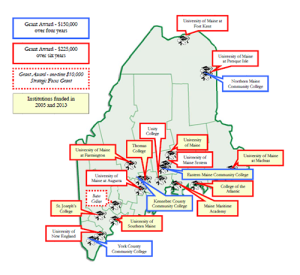 In 2013, the Foundation provided an additional $200,000 in one-year grants to ten Maine colleges. Support Early Success In College page.